Here's a funny little story from a yoga class I took earlier this week. Since I'm doing the whole work-from-home, leisurely Monday thing (highly recommend if you have the privilege of a flexible schedule), I decided to take a lunchtime yoga class. When I was checking in to class, I noticed the instructors leggings were a little weirdly baggy, but I just figured that was the style. As she came in the room to start class, my instructor started laughing and shared with the group how her morning was so hectic, that she just realized she had put on her yoga pants backward. LOLZ. I'm so glad to hear even yoga teachers can be frazzled hot messes too. She then went on to say how she had been feeling really good about herself, because she had been trying to lose weight and figured what she was doing was working. She had been feeling confident with her weirdly baggy yoga pants, until she realized it wasn't a suddenly thinner frame that was responsible, but the fact that the part that was supposed to be in the back was now in the front. Now she was no longer feeling confident. She felt like a frazzled hot mess with backwards pants. I share that story because I thought it was a perfect example of how body image isn't really about your body size or weight. 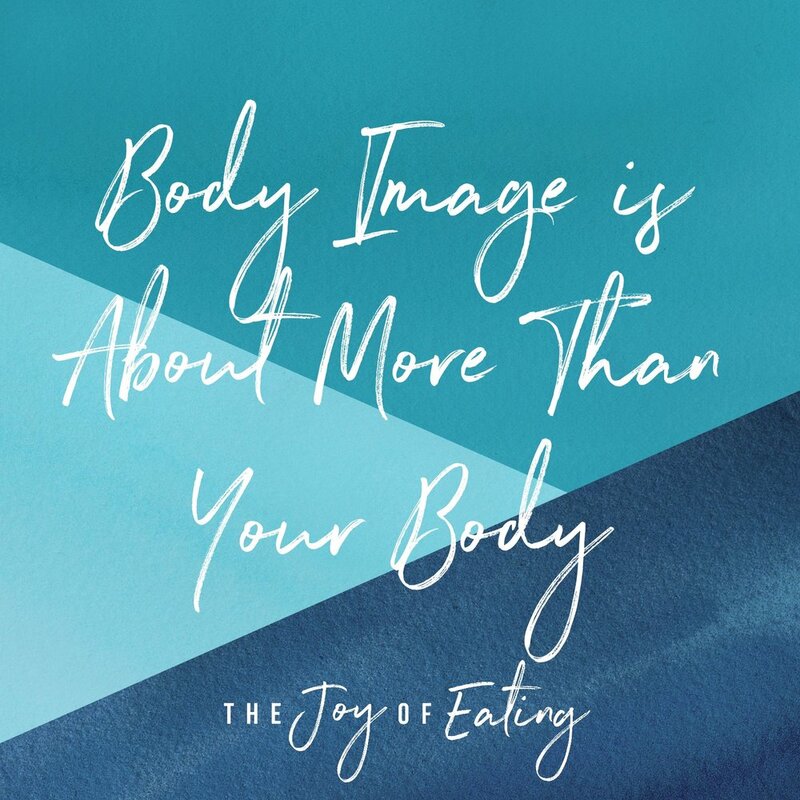 I like to use the definition of body image from The Body Image Workbook: "Body image refers to how you personally experience your embodiment. 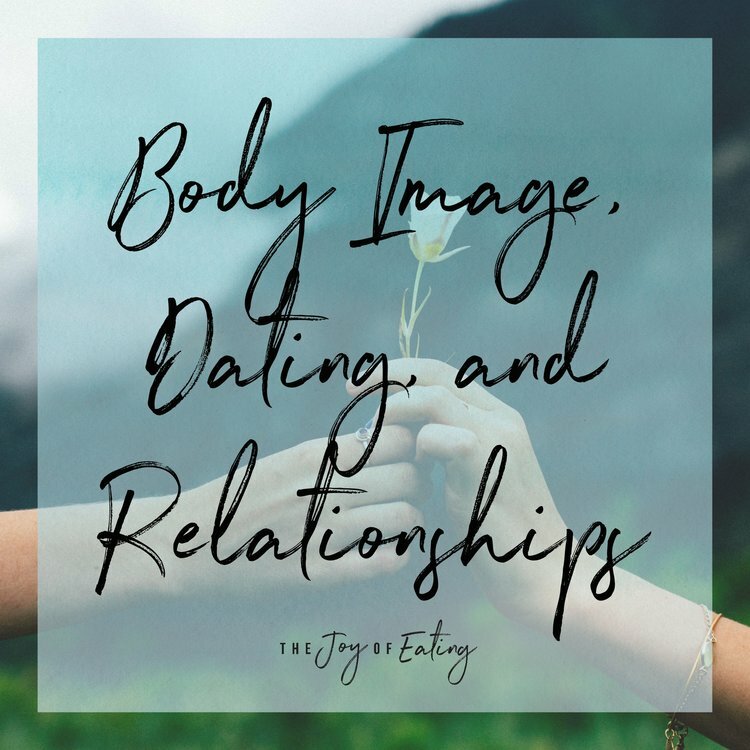 More than a mental picture of what you look like, your body image consists of your personal relationship with your body - encompassing your perceptions, beliefs, thoughts, feelings, and actions that pertain to your physical appearance." While body size can certainly impact body image, especially if you are experiencing weight stigma, it is so much more complex. I've had clients in a wide range of body sizes, and personally, I've seen zero correlation between body size and positive body image. Feeling confident or comfortable in your body, then putting on clothes that feel snug, and suddenly experiencing poor body image. Feeling bad wearing an item of clothing that shows a part of your body you're self conscious about, then receiving a compliment about your outfit and feeling more confident. Experiencing poor body image because you're feeling bloated or backed up, then feeling better after going to the bathroom or getting un-bloated (is there a word for this?). There's been no real changes to your body, but you feel more physically comfortable in it, and your body image improves. Feeling good about your body around positive friends, and feeling bad about your body around triggering people. 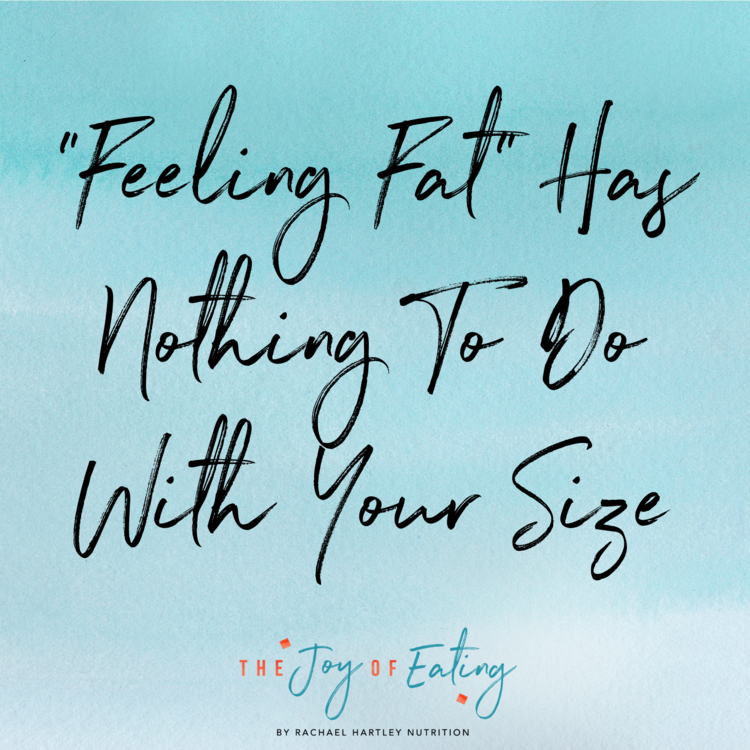 Feeling bad about your body after eating something you perceive as "bad," even though a single food can't have an immediate or significant effect on your body. It's important to distinguish how little body image has to do with actual size/weight. I think most everyone struggles with bad body image days, but by trying to change our body as a solution, we're focusing on the wrong thing. Next time you're experiencing poor body image, ask yourself what is going on in the moment? Take the experience of feeling bad about your body as a reminder to check in and see what you need. Changes are, it's not your body that's the problem. By removing trying to change your body as a solution, it allows the freedom to figure out what's actually going on, and what you can do to address it.